The National Academy of Sciences published the findings at an event ahead of the fifth anniversary of the Superstorm Sandy which in 2012 killed 150 people. The much talked about phenomena of 'Climate change' has finally brought the ill effects to the doorstep of the United State of America (USA). A recent study has concluded that the New York city, also known as the financial capital of USA will be hit by the type of floods every five years which usually occured every 500 years. The overall damage in life and property amounted to the tune of $42 billion just for New York state alone. According to the study, New York could face floods as high as 7.4 feet. 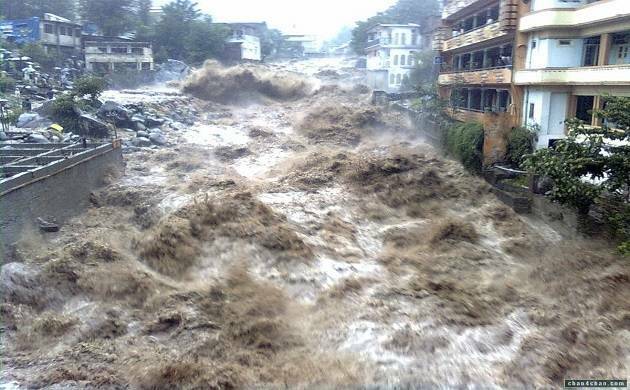 This kind of flood happened in the pre industrialization period once in every 500 years and once in 25 years between 1970 to 2005. The partial collapse of the Antarctic ice sheet. As per the study, the sea level is likely to rise somewhere between five to 11 inches in new York between 2000 and 2030. By the end of the century New York could see rising wavelength upto eight metre in case there is the meltdown of the West Atlantic ice sheet. The study is conducted on the presumption that the emissions of gases from greenhouse will be on the rise till the end of century. This is considered a worst case scenario by many.